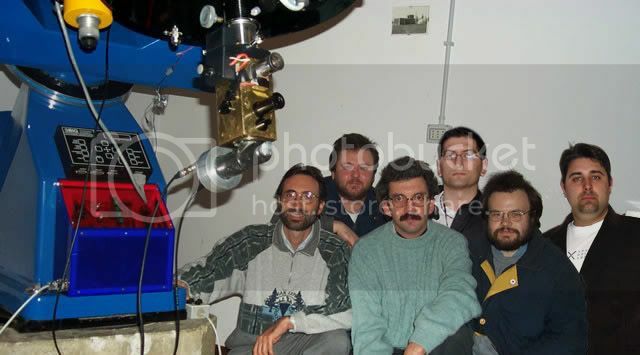 The Lowell Observatory LARI program hopes to engage the ever-growing and technically sophisticated amateur astronomy community in some exciting research projects with Lowell astronomers. 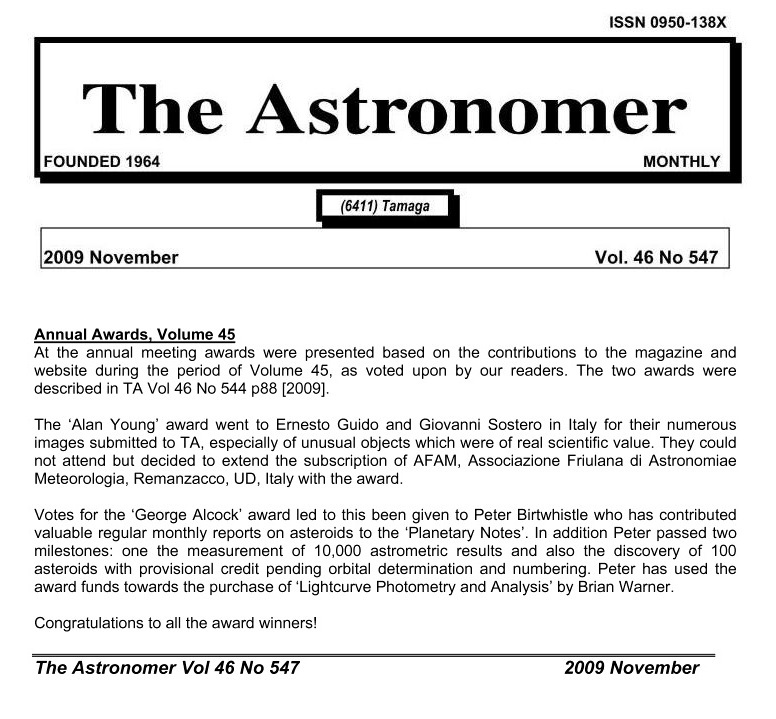 Currently, Lowell astronomers are conducting several projects that would benefit from the participation of amateur astronomers. These projects span a broad range of technical skills and knowledge from taking very deep images of galaxies to monitoring small stars for transient events to data mining. Centaurs and KBOs identified as part of this project have relatively short orbital arcs. As a result, their orbital elements are inaccurate, resulting in inaccurate sky-plane position. 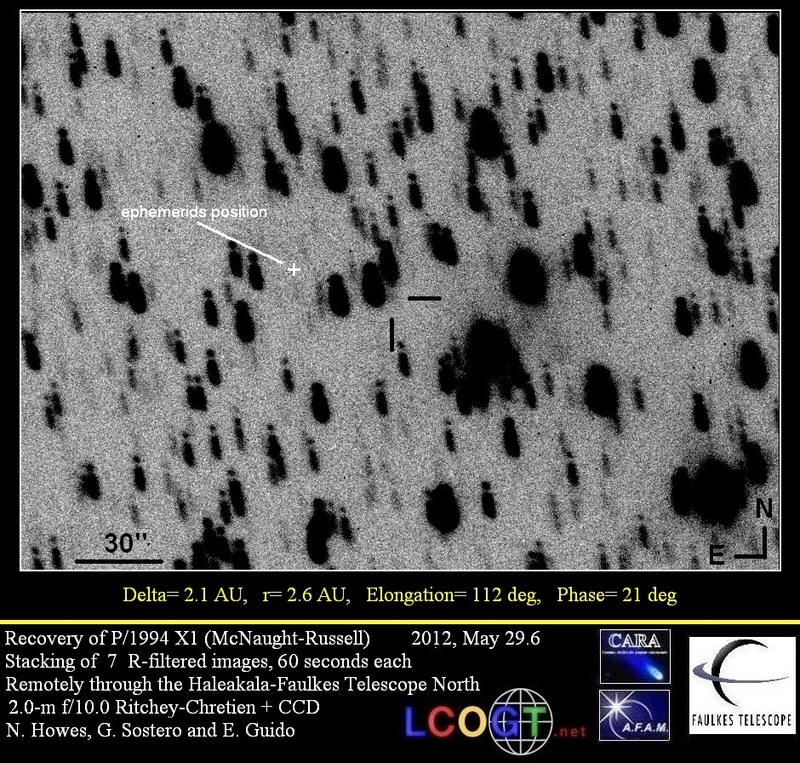 Faulkes Telescope's pro-am programme manager Nick Howes is working as a research associate with the Lowell observatory on a project to refine these orbits, imaging with the two Faulkes scopes, in collaboration with the team at Remanzacco Observatory and students using the Faulkes scopes. 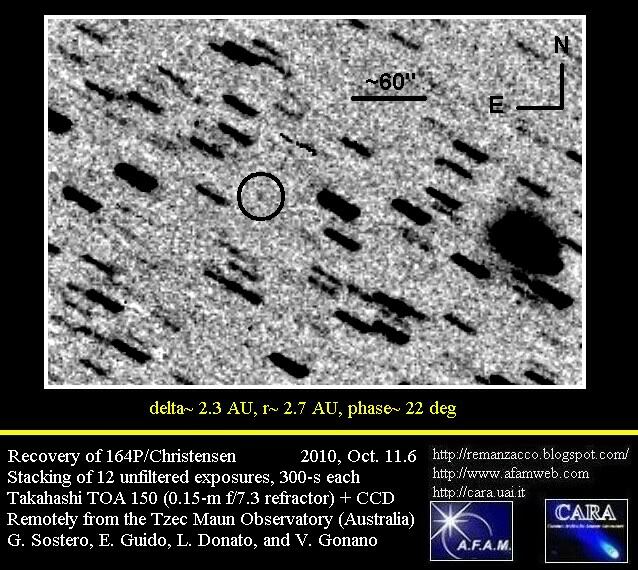 These Centaurs identified in this project are rarely brighter than 18th mag and the KBOs rarely brighter than 20th mag. The KBO targets have a slow motion across the sky so images taken over several hours or even days are needed on targets to detect movement. 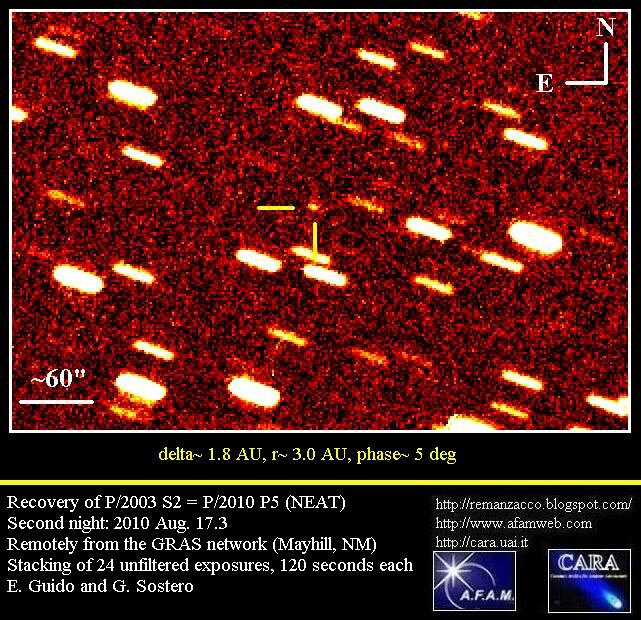 There are a number of names astronomers use to refer to these distant members of our solar system: Kuiper Belt Objects (KBO), Edgeworth-Kuiper Belt Objects (EKBO), Trans-Neptunian Objects (TNO), Scattered Disk Objects (SDO), Centaurs. 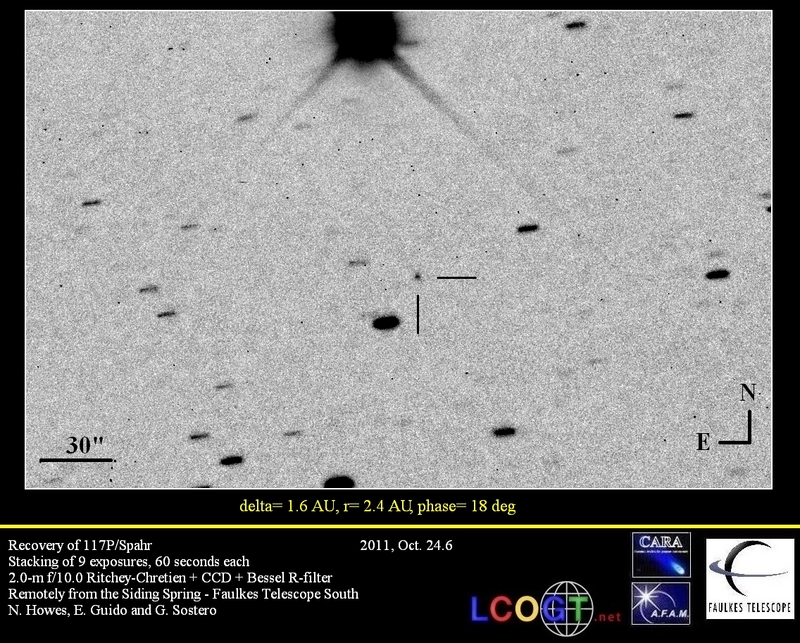 Below you can see the images of centaur 248835 & TransNeptunian Object 2009 MS9 (both objects are magnitude ~20) that we imaged on August 15.5, 2012 with the 2.0-m f/10.0 Ritchey-Chretien + CCD of Haleakala-Faulkes Telescope North. 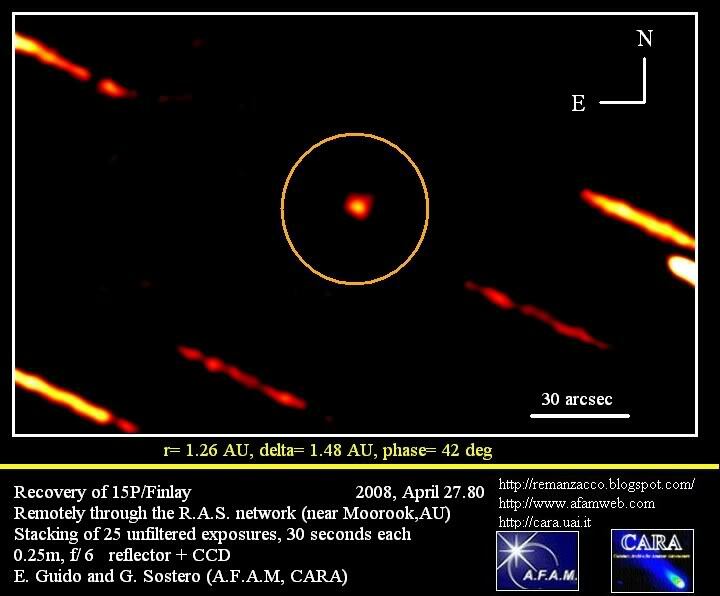 At the moment of the shoot 248835 was at ~12 AU from the Sun while 2009 MS9 was at ~11 AU. Each image is a stack of 4x120seconds fits. Click on the thumbnail for a bigger version. 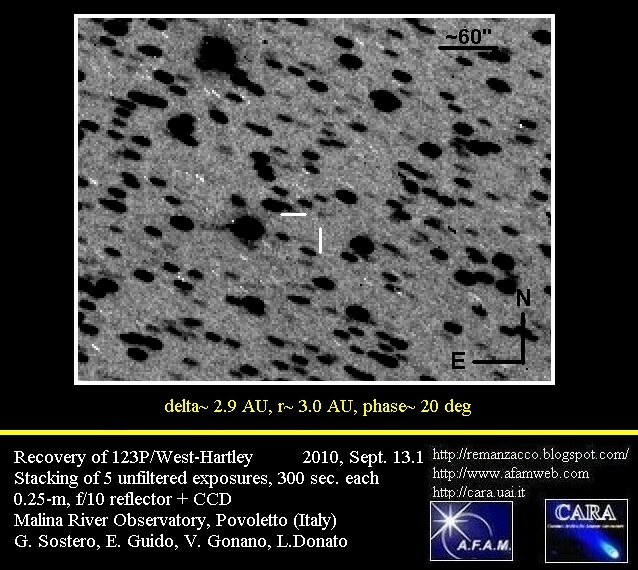 Below you can see an animation (spanning ~45 minutes) showing the movement of centaur 248835 (2006 SX368). Click on the thumbnail for a bigger version. 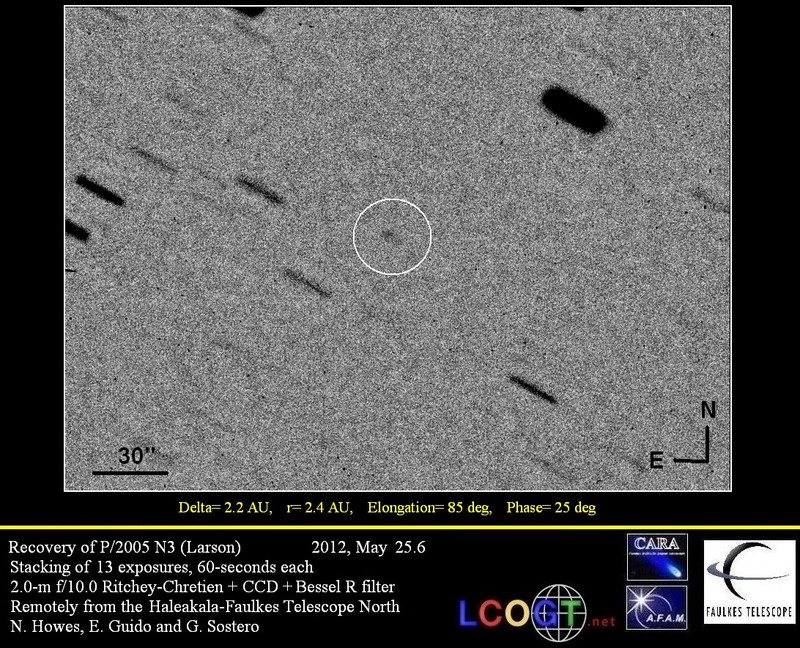 Below you can see an animation (spanning ~45 minutes) showing the movement of TNO 2009 MS9. Click on the thumbnail for a bigger version. "It is not enough to find these interesting objects. To ensure that continued studies can proceed, these newly discovered objects need to be measured with some regularity. 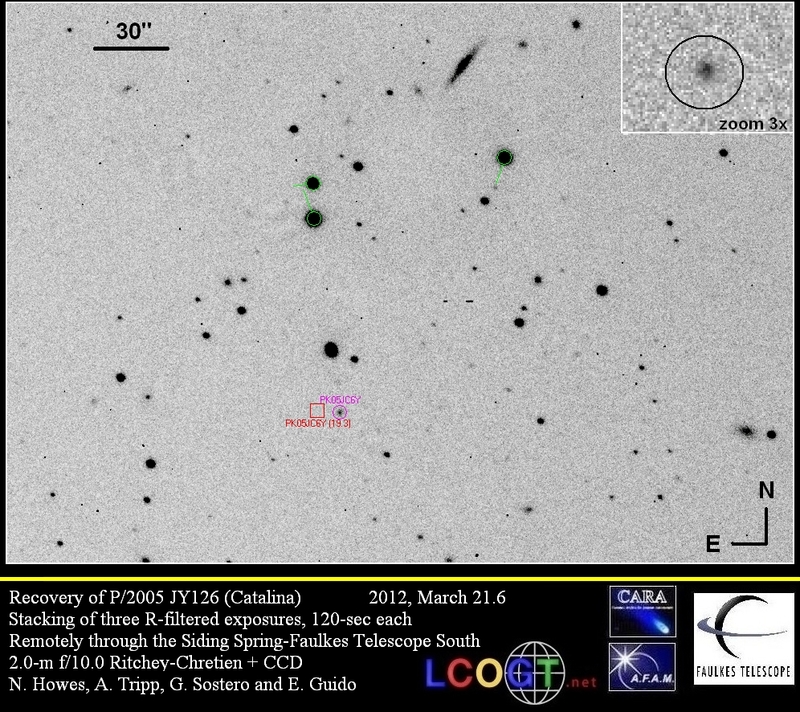 Unfortunately, telescope time on facilities capable of getting followup observations is in very short supply. Therefore, we are forced to be extremely efficient in our use of this time. 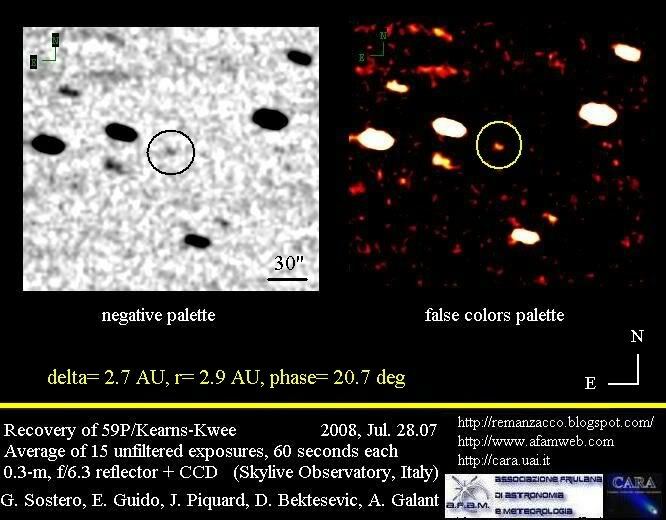 In my opinion, there is nothing worse than seeing two sites be used to observe the same TNO within a few nights of each other. They could have done two objects instead".